Canned cherry tomatoes from Mutti, were a hit at a sampling of new products. “Farm to table.” Once upon a time, this was not a familiar phrase. What comes next? Some of the answers to this question may come from the annual Fancy Food Show, the largest specialty food and beverage event in North America. Is there a cooking oil made from insects? Yes. Is there such a thing as drone-based farming. Yes. Serving as a forerunner for lively trends, this year’s show was overflowing with “plant-based” anything and everything. The word “vegan” seems to have been replaced by “plant-based.” We are talking beverages, meats, cheeses, chips and more. You name it and it could probably be made from pea protein, beets, kale, chickpeas, seitan (an ancient meat substitute) or even cashews. Plant proteins replacing animal proteins. Another term I picked up was “plant-forward.” This term might be most familiar to iGens who along with some Generation Xers and millennials make up the largest percentage of shoppers seeking alternatives to animal-based food products. The creepy (just my opinion) pinkish fake hot dogs of early vegan options have mostly disappeared, with new items and descriptor terms easily seen down any aisle of your grocery store. Consumer researchers report that “plant-based” products have grown almost 300 per cent since 2012 in the U.S. The “why” of the increasing interest in animal free foods is varied. Some of us have health conditions that require the elimination of certain foods we’d otherwise consider part of a typical daily food regimen. For others, it’s a preventative measure to avoid the risks of heart disease, certain cancers, obesity, diabetes and even degenerative cognition. For many, it’s a personal or moral philosophy that sets the guidelines for what foods are appropriate for their beliefs or lifestyle. Whatever your reason might be, even if it’s just a curiosity to experiment with a trend, it’s good to know that it’s much easier to find a literal smorgasbord of “plant-based” options. Taste is another thing. If you expect a plant-based cheese to taste just like your beloved Parmesan, that’s not realistic. It could be Parmesan-ish, maybe. Texture is another adjustment for many of the offerings tasted. In most cases the purveyors of these products admitted that in the cooking process the chemistry of the ingredients just can’t be expected to be substituted easily into all our favorite recipe. In checking with my Italian counterpart “foodies” on what’s happening with the “plant-based” trend in Italy, I was told that although vegan and vegetarian offerings are now easy to find in restaurants and markets in recent years, especially in the larger cities, this new trend is something else entirely. The trend of “plant-based” anything is met with the simple fact in Italy that it’s not authentic, therefore no DOP certification. Just like the trend of molecular gastronomy that was so popular a few years back, this new trend may not fly. “Plant-based” may not be outlawed, as molecular gastronomy was in Italy, but the opinion of my Italian associates is that it just won’t be as much of a success in Italy as it might be in the U.S. Only time will tell. Tradition and authenticity does not allow for a classic salami to be made of pea proteins. After the annual show, my annual tradition of collecting a plethora of samples through the good graces of their purveyors, once again materialized into a sample tasting party, with several of my local foodie friends being willing to lend their palates and share their impressions. We tasted through more than 50 different products, only four of which were “plant-based.” Members of the tasting panel were not advised about the chemistry of these products in advance. Interestingly enough, none of these items received any positive comments from the panel and are not included in this article. Most negative comments were about texture. There were some products that received a unanimous thumbs up for the entire group, with everyone indicating they would definitely purchase the product and were already asking where they could find these items locally. First on the list were the trio of new flavors of roasted and spiced nuts from Sante Specialty Foods. All of us commented on the “perfect crunch” and the perfect balance of flavor. Sante uses these descriptors in their promotions, as well they should. The true flavor of the pecans and almonds were not masked in any way by the added flavors. Bourbon Pecans had buttery hints, a subtle bit of vanilla and just the right amount of salt. Just the right combination of cinnamon, allspice and clove created the Pumpkin Spice Pecans. A cocoa powder dusting, as opposed to a thicker coating of chocolate shell, gave a rich chocolate flavor without covering up the sweet and salty notes of the Chocolate Almonds. Sante nuts have made it on the tasting panel favorites list in the past, and they have done it once again and can currently be found at on Amazon or at santenuts.com/buy. These “I want more please” flavors are so new that they are not yet distributed to local retailers. Please stay tuned. Flathaus Fine Foods has created a unique line of shortbread cookies. Shortbread are at the top of my personal cookie list, so I’m a tough cookie (couldn’t resist) when it comes to shortbread standards. No disappointment here. The entire panel agreed. The clever packaging, resembling a colorful paint can, held what they offer as their Holiday Assortment, 16 ounces, including key lime, peppermint and plain shortbread along with savory sharp cheddar southern-style cheese straws. Personally not a fan of peppermint, so wasn’t as excited about these, until I tasted them. Darn if I didn’t think they were just as yummy. Other shortbread cookie flavors are butterscotch, raspberry, cinnamon and lemon. The Spring Assortment can offers raspberry, lemon and key lime along with the cheddar straws. Single-flavor “paint cans” and 4 oz. bags of all can also be found. We agreed that these “cans” would be great hostess gifts at any time during the year. These treats can be found at Home Goods, on Amazon and directly from flathausfinefoods.com. Some of the panel enjoyed their first Dirty Martini, thanks to Sonoma Syrup Co. I do enjoy a good Dirty Martini, but all too often there is too much of a “briney” taste to the cocktail. Not so with the Pure Sonoma olive juice that I used as the mixologist of the day. Created from locally sourced, naturally cured (no lye) and filtered pure olive juice these were perfectly flavor balanced Dirty Martini’s. Look for the large assortment of handcrafted non-GMO Sonoma Syrup Co. products at BevMo, Whole Foods, Amazon and sonomasyrups.com. Patagonia Provisions provided us a number of their products to sample. The stand out for the group was the Lemon Pepper Wild Sockeye Salmon. The fillets were lightly smoked and seasoned so that the salmon flavors shone through. Shelf stable packaging makes for easy storage and requires no refrigeration until opened. Serve hot, cold or room temp. Easy to slip into a backpack for a day hike or camping. In a side-by-side comparison to another purveyors, Sockeye and Pink Salmon fillets, the Patagonia was definitely more moist and flaky. This product, along with their Black Pepper Wild Pink Salmon fillets can be found at REI and Good Earth stores or online. The best option for local Napans to purchase the salmon is likely online patagoniaprovisions.com. I’m always excited when I find pure ingredients to be used for preparing classic Italian recipes. 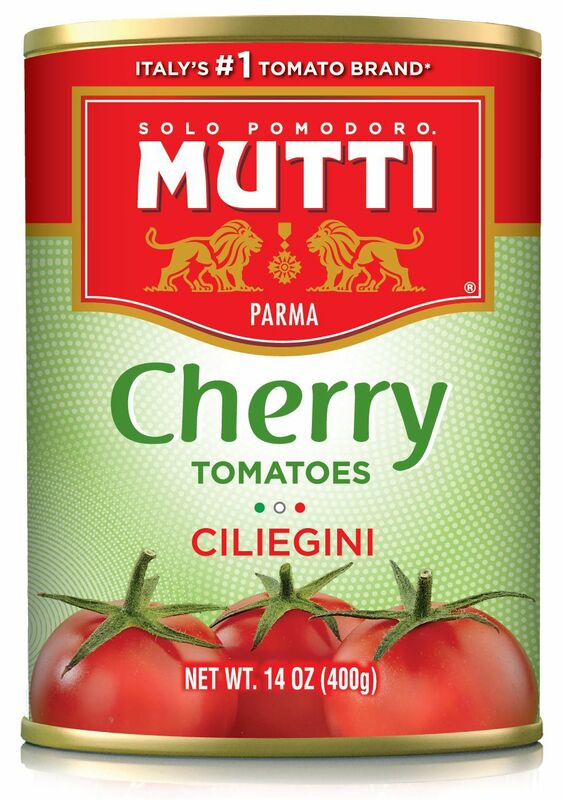 Since 1899, the Mutti family has taken pride in producing 100 percent Italian tomatoes. The growing conditions in Parma are perfect, and the result is fresh tasting, shelf stable, non-GMO, tomato-based products that contain no additives or preservatives. It’s not often one can find canned cherry tomatoes. Their tomato pastes and a variety of purees can be used for any number of dishes. The pizza sauces were a hit, with the Positano version that includes garlic and oregano, Napoli with fresh basil and extra virgin olive oil and the Parma that incorporates aged Parmigiano Reggiono DOP cheese. It’s reasonably priced. Mutti products can be found at Cost Plus World Market in Bel Aire Plaza and also Sunshine Market and Cal Mart. Diane De Filipi lives in the Napa Valley and leads cooking tours to Italy and Burgundy, France. Visit letsgocookitalian.com or letsgocookleboncuisine.com for more information.